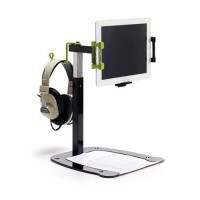 This selection of affordable A.V Equipment includes all of the Audio Visual Equipment you would need for projecting documents and copying those documents onto iPads or computers. US Markerboard offers a Document Camera Stand that you�ll be able to take pictures of books and tangible documents with an iPad or tablet. Tabletop overhead projectors and portable overhead projectors make documents larger than life for everyone in the room to marvel at and see. Flexible visual presenters are computer attachments that allow any size document to become the perfect size projection. Ceiling projection cameras take up no room on tables or desktops and project any project easily. These audio visual projectors pair well with whiteboards with ProjectionPlus surfaces or projection screens. Now is the time to capture attention with a variety of camera projection options!